Prepare tea and heat up water quickly and easily. 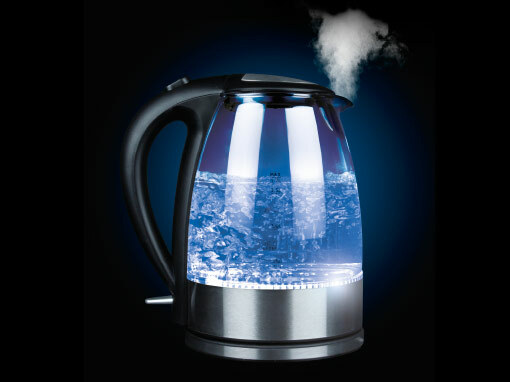 The Chef Master Kitchen™ kettle allows you to quickly heat up water to boiling point. It has an attractive and practical lighting system. Made of quality materials: stainless steel base, crystal tank and a heat resistant plastic handle. Stylish, compact and easy to clean, Electric Kettle will be your ally in the kitchen.